Club Z! franchise owners manage a staff of tutors that provide one on one instruction for students and business professionals in the comfort and convenience of the students home at an extremely competitive rate. If you have a desire to start a business of your own, follow a proven business plan, and want to team up with industry leaders, then Club Z! could be for you. The private tutoring market continues to boom, even in a soft economy. The tutoring market in the United States is estimated at over 9 billion dollars a year. Worldwide the tutoring market is projected to be 100 Billion dollars by the year 2017. The main reason for growth is colleges and universities becoming increasingly selective in who they will admit. This is and will continue to be a key market driver for years to come. K-12th 1 to 1 tutoring. Our tutoring is conducted in the home of the student or another mutually agreed location. 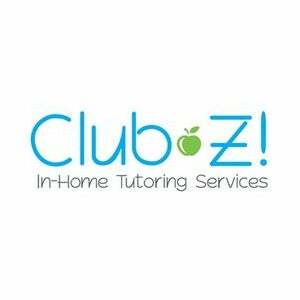 Club Z!’s program is extremely effective; our average student improves two letter grades in just 60 days. Test Prep. We offer proprietary programs For the PSAT, SAT, ACT and Study Skills. Our average student improves 200 points on the SAT and 2-3 points on the ACT. Club Z! also offers test prep programs for the SSAT, ISEE, GMAT, GRE, LSAT and MCAT. Online Tutoring. Club Z! franchise owners can offer online test prep, subject tutoring and our ON-Demand homework help program. We Help Furnish the Qualified Tutors - We provide franchisees access to pre-screened tutors, all with certifications and/or degrees with 2 plus years of proven tutoring experience. National Advertising/ Marketing Support – Club Z! spends 100's of thousands of dollars on National advertising programs each year for our franchisees. Our company has built a tremendous presence on the Internet so that franchisees can hit the ground running when they launch their business. In addition our principals have a combined 65+ years of marketing experience. Our exclusive Club Z! Marketing Plan has been developed and time-tested over the last 12 years. This plan has been proven to be successful in hundreds of markets throughout the United States and Canada. Franchise owners also receive access to our Advertising Department that creates and prepares all of your marketing materials. Our Call Center, Your Competitive Advantage - Our call center can answer all incoming calls for our franchise owners during business hours. This one of kind service "sells" your potential clients on using our service, and even schedules your enrollment meetings using a web-based calendar. By utilizing our call center, franchises never miss an opportunity for a client and create time to focus on the growth and management of their business. Our staff can also make outbound calls to set appointments with schools for franchise owners to introduce the schools to our Annual Achievement Awards (scholarships) to help in developing a good, working relationship with the public and private schools in the area. Club Z provides intensive training at our corporate location in Tampa, Florida. For your convenience, on-line training (with an instructor) is also available for franchises that wish to begin operations within a quicker time-frame or need more time to complete our training program. Franchise Owners that elect to receive online training are also welcome to participate in our In-Person training program in Tampa at a future time. *Currently not seeking international expansion at this time.